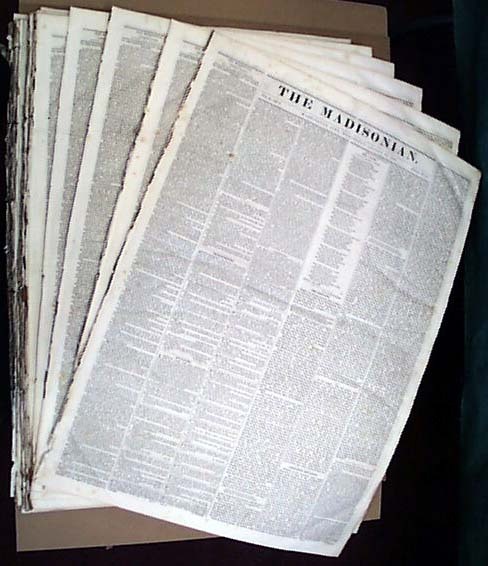 Item # 180079 THE MADISONIAN, Washington City, 1839 A lot of 10 issues of this uncommon title from the nations capital. Mostly political and Congressional content, plus various ads. Great name for a newspaper from Washington! Traces of foxing, otherwise in very good condition.